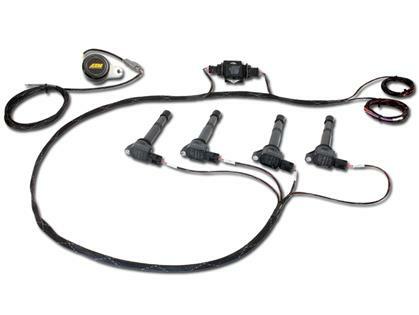 If your B-Series engine is stock or mildly modified, why replace factory components when you can upgrade to an affordable, premium NO MAINTENANCE coil-on-plug ignition system? It is commonly known that the factory igniter on the B-Series engine is prone to failure. Further, as distributors age timing signal quality can decrease and lead to poor engine performance. WHAT IF I AM RUNNING OVER 15 PSI OF BOOST? If your turbocharged B-Series race engine is running boost pressures higher than 15 PSI, adding AEM’s Twin-Fire Capacitive Discharge Ignition (AEM P/N 30-2821 4-Channel, sold separately) in place of the 4-Channel Coil Driver igniter will ensure adequate spark energy is delivered to the plugs regardless of boost pressure. By adding the Twin-Fire CDI, horsepower limitations become dependent on an engine’s mechanical and fueling system limitations and not spark energy delivered by the ignition system. 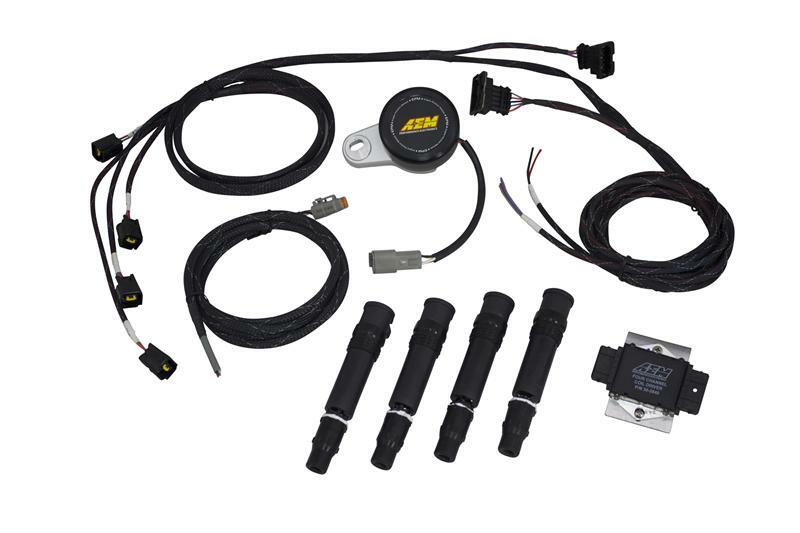 AEM’s COP B-Series Conversion Kit is ideal for use with the AEM EMS and most aftermarket ECUs, and includes instructions for easy wire routing. It also allows for individual ignition trim tuning via a programmable EMS. The COP B-Series Conversion Kit includes AEM’s Engine Position Module to deliver a reliable timing pattern for the AEM EMS or other aftermarket EMS, a 4-ChannelCoil Driver that drives 2-wire “dumb” coils, AEM’s CDI Pencil Coils, a Motorsports-grade harness and connectors and a plug & play wiring harness that is labeled and silk-screened for simple installation. Delivers outstanding coil-on-plug performance without the added cost of a CDI!